The Santa Clara County Coroner's Office on Saturday identified a 23-year-old Mountain View woman whose body was found floating in the San Francisco Bay earlier this week. Marriane Favro reports. The Santa Clara County Coroner's Office on Saturday identified a 23-year-old Mountain View woman whose body was found floating in the San Francisco Bay earlier this week. The woman was identified as Chu Chu Ma of Mountain View according to the coroner's office. She was discovered off the Bay trail on the Sunnyvale-Moffett Field border on Thursday afternoon. A passing bicyclist came across her body and reported it to the Sunnyvale Department of Public Safety. A woman with the same name has a LinkedIn profile indicating that she is a software engineer at Google, a former intern at Yahoo and Telogis, and an alumna of the University of Texas at Austin. A Google spokesperson released a statement saying, "Chu Chu was an excellent software engineer in our developer product team. We are devastated to learn of her passing and our deepest condolences are with her family and friends." A coworker of Chu Chu Ma said she constantly "glowed with cheer" and "always made others smile." NBC Bay Area's SkyRanger captured footage of several police cars, officers and divers at the scene. A woman's naked body was floating face down in the water. 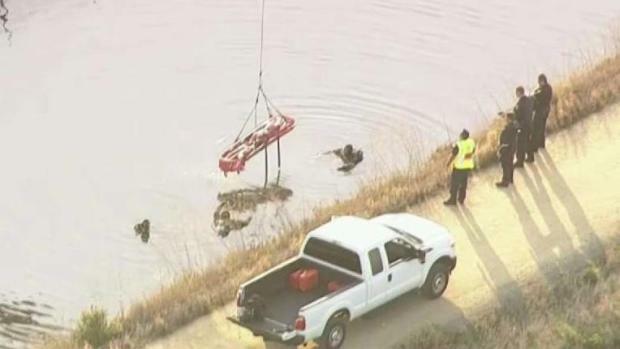 Ma's body was recovered by a dive team from the Santa Clara County Sheriff's Office. It's unknown what circumstances led to the woman's death, the Sunnyvale Department of Public Safety said on Twitter. The medical examiner will investigate alongside the Sunnyvale Department of Public Safety.